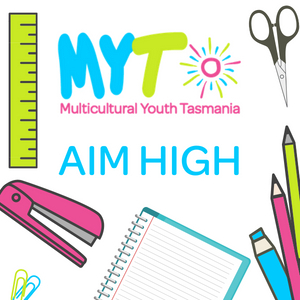 Aim High is a targeted study program that supports educational outcomes for young people from refugee and migrant backgrounds. Aim High provides specific support across the year 9 and 10 curriculum, with a strong emphasis on core curriculum subjects such as science and maths. Year 9 and 10 students from refugee and migrant backgrounds in Tasmanian Government schools. Aim High delivers weekly study support sessions based at MRC Tas, 1A Anfield St Glenorchy. Every Tuesday from 3:20pm till 4:45pm during school term.